Situated in the beautiful village of Slyne with Hest, Lancaster. 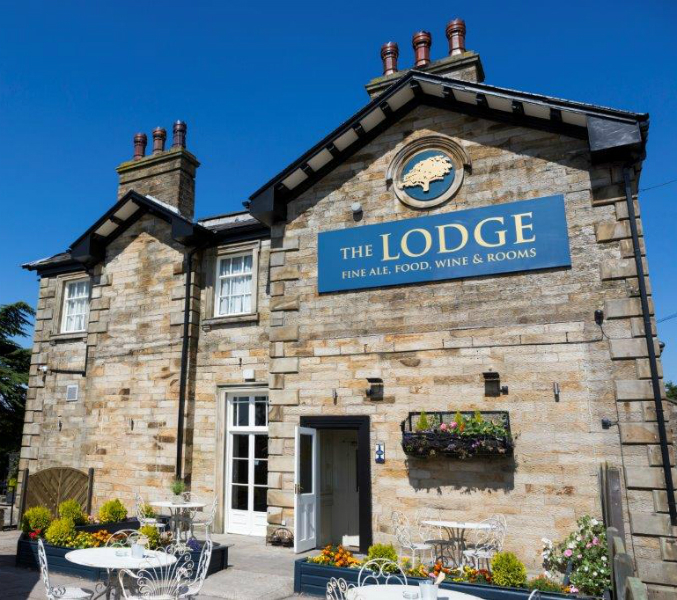 The Lodge is the ideal setting to relax and unwind with fine ale, wine and superb food. Don’t want your visit to end? Book one of our 10 en-suite rooms. Excellent food, prompt and lovely service! Disappointing visit to start with meal was delivered to a different table and left in front of another customer for a short period of time until it was then brought back over to me with no apology but simply ‘it hasn’t been touched’. It wasn’t very nice and dripping with oil and no taste. My children’s meals both came out on very hot plates. After a fairly long wait my fathers mustard was brought out to go with his steak with no apology. And then after a very long wait for our desserts, the waiter tried to give my 18 month old son a fruit salad with whole grapes which in the day is absolutely stupid. We have a friend whose grandchild lost his life after choking on a grape. So all in all, not a great evening and not in any hurry to return or to recommend to any friends or family. I will say that an extra plate of complimentary desserts were sent out due to the wait but that didn’t come to close to changing my opinion of this experience. Poor service, long wait, and poor food.Shame as we used to enjoy coming here and have enjoyed it previously. We were really pleased with both the food and the service and will definitely be back. The room was lovely and it was great to have the space all to ourselves for my husband's 50th. Our guests commented on how light and pleasant the room was. Great Mothers Day treat. I booked for six and pre-ordered our meals. The service was excellent and the food was outstanding. Giving all the mums a little gift, a rather lovely plant, was a nice touch. Mothers Day booking for a party of 10. We were asked to prebook menu choices in advance which we did. 1 minor change made by us 5 days before and resubmitted to Lodge. Email from Lodge 2 days before asking for menu choices?? I rang on morning of booking to confirm these had been received, Lodge staff unable to locate so had to resend through again. Menu for Mothers Day was £25 a head for 3 course meal. Belly pork dish was small piece and a half of belly pork which was luke warm. The feedback on the shallot tart was this was good. Same with Roast Beef dinner, 3 thin slices of stringy beef and a cold Yorkshire pudding with selection of veg. After requesting a second set of drinks (as we sat with empty glasses for some time) we then waited for desserts. By then we really just wanted to pay the bill and go home. I will admit, some of the party were 10 mins late to arrive, but I don't believe this held up the service by the amount of time we waited. Even the 11 year old in our party commented on the dryness of her chicken supreme. Free Primrose plant for Mothers was given, nice touch. Nice greeting on arrival too. The Lodge was busy, can only think they had perhaps over estimated the amount of work involved and this was shown in the service we received. Terrible service very slow. We complained on having to wait such a long time. We ordered sizzling dishes which were not sizzling when they arrived. Ordered marinated olives for starter which not marinated in anything and were out of a jar. Our night was spoilt and we were reluctant to pay for the food. Will not go again. I do appreciate that it was busy though. A great friendly hotel. We opted for an upgraded room which was spacious and clean. Just a couple of opinions. The rooms need net curtains, feels like a goldfish bowl when people are walking past! Fantastic bathroom, unfortunately not a single shelf. All our toiletries were either squeezed onto the sink or scattered on the bathroom floor. The dinner menu, was more like a bar menu. 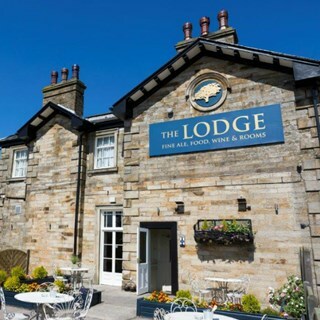 We were informed that the Lodge were in the middle of revising a different menu. However, we wasn't advised of this at the time of making our two dinner reservations. Despite the above, look forward to returning again. I hate to say it but it is always the same when I visit, the food is lovely but the service is hit and miss. I visited with a friend to have a catch-up, booked the table for 6:15 pm we were seated and proceeded to give drinks orders, the waiter came back about 10 minutes later to order the food. Unfortunately what my friend wanted wasn't available so he chose something else. We waited about half an hour then the waiter came back over to apologise he had lost the slip of paper with our order on it. So we again had to reorder and wait another half an hour. My friend order steak and we had to ask twice to get a steal knife. The restaurant was busy but not packed with four members of staff walking around it should have been running smoothly. Luckily a waitress came over to take dessert orders and I have to say she was lovely (not sure of her name but she is pregnant) she was really chatty and lovely and made up for the previous service. No one apart from her came to see if we wanted coffees or needed any more drinks even though our glasses were empty. I was 9:30 pm by the time we left due to waiting for the bill. Please, please sort this out because the food is lovely. Very impressed with the selection and quality of food on the afternoon tea. Dessert was delicious. Found it hard to accept that the Halloumi sizzlers should be the same price as rump steak! An enjoyable stay. Good room for £45 which includes a free drink (we had to ask for this which was a little embarrassing when you think it is advertised) and breakfast. Dinner was nice; burger and chips - shame hanging kebabs were not available. The guy with the tie (presumably the manager) was an excellent host. Maybe waited a few minutes too long for food bearing in mind it wasn't too busy at that point. Breakfast was stunning! We will absolutely return! The service was friendly but very slow. Perhaps next time we will not go on a Sunday. More staff are needed. Love the place, I’d come every night if I could afford it. Maggie and the other girl (long dark hair) are lovely. We booked a table for 7pm on a Sunday. Upon being showed to the table by the waitress we were then told that there were no roasts left and no skewers. Considering that that's the majority of the menu, it was really disappointing and turned a treat for my parents into a poor meal as there was little else to choose from. I know it would mean losing custom but considering I'd left my mobile and email when booking, you'd think someone would have the courtesy to let us know before we left and in time to find somewhere else. It would have saved the disappointment and the poor review.